Lawyers frequently feature near the top of lists of the most hated professions. They’re seen as amoral and expensive. And, of course, they don’t always tell you what you want to hear, which does zip for their popularity ratings. Your lawyer will word your sale contract so that you get the property without the seller’s mortgages, unpaid taxes, or liens. And, a good lawyer can advise you how best to hold the property, to offset taxes, or avoid the need for your heirs to go through a costly probate process. 2. They can safeguard your investment. There are many questions you should ask before you buy a property. Can you, as a foreigner, legally own it…is the title good…is the seller the legally registered owner? You’ll think of dozens of queries as you go through the process of buying. The best person to give you a legally correct and unbiased answer is your lawyer. 3. They can help you understand your sale contract. The legally binding version of your sale contract is normally the one in the official language of the country you’re buying in. In Mexico, it’s Spanish; in Brazil, it’s Portuguese. This is the contract that will be used if you have a dispute with the seller or need to go to court. So, it’s important that you understand it fully. Your local lawyer can walk you through it and explain anything you’re not clear on. You may get a sale contract with a side-by-side English translation. But it’s often sketchy or downright wrong. And, the contract will normally state that it’s not accurate. You might think you can skip hiring a lawyer if you speak enough Spanish to grab a taxi or order in a restaurant. 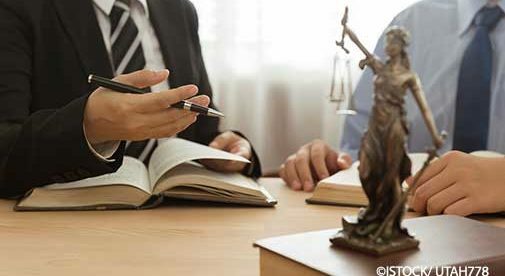 But you probably don’t have a good grasp of legal Spanish (which, like its English counterpart, is full of difficult-to-grasp terminology and subtle nuances you might miss). To avoid unpleasant surprises at closing, get a lawyer on board to explain the contract properly to you. 4. They can negotiate on your behalf. If you’re not comfortable with your payment plan or want to make penalties reciprocal, it’s easier to do that via your lawyer. The lawyer can ask for changes or adjustments on your behalf while you maintain a friendly relationship with the seller. 5. They have experience that you (or your lawyer back home) don’t. The in-country lawyer will know all the steps to take to make sure you’re buying safely and securely. And, if you find a lawyer that handles real estate transactions regularly they will know the locations prone to flooding, the good (and bad) real estate developers, and ballpark pricing on different neighborhoods. Local knowledge like that is a godsend and can steer you away from not-so-good investments. One tip: find a lawyer that speaks your language. Buying overseas is not the same as buying back home. It will go much more smoothly if you can easily understand what your lawyer is telling you…and you know that they’re carrying out your instructions to the letter.